Waterworks Drive, past the power plant and to Baw Beese Lake, took one down muddy roads and through farmland. The two-acre parcel was purchased in 1885, a brick power house was built and a large intake pipe was run into the lake for "fresh water" that was pumped throughout the city. Prior to it being taken from Baw Beese, water—and ice—was obtained from Kekoose Lake. 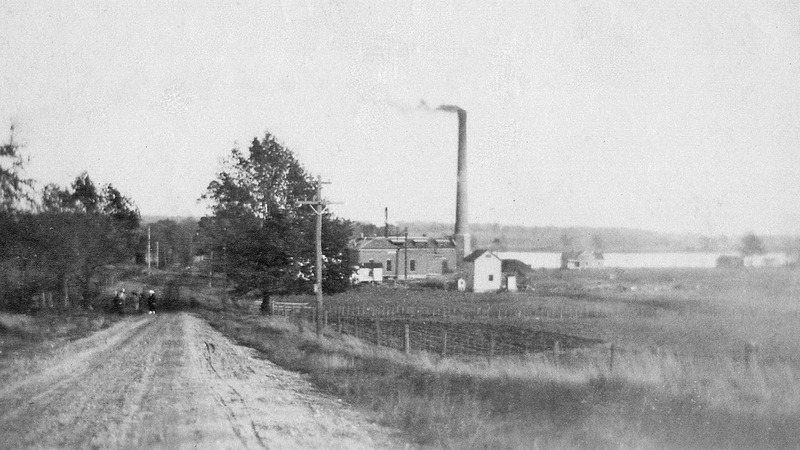 Hillsdale’s electric plant was taken over from F.W. Stock in 1893. By 1915, the city boasted "modern and first class" machinery at the Baw Beese plant, with "abundant provision for the city," plus one line running "around to Ash-Tee-Wette, one to the County Farm (on Cambria Road), and one three miles north to farmers." The Hillsdale Gas Company was formed in July 1871 and located in the western part of the city, just north of the Lake Shore and Michigan Southern Railroad tracks. Over the years the company laid gas lines throughout the city to many of its homes and buildings. In January 1888, the Hillsdale (College) Herald reported that the city Gas Company was threatening an injunction against the city and its electric light company to prevent any contract to provide electric lights for the city. Over the years improvements were made, but not always sufficiently. In 1887 City Council passed an ordinance prohibiting the continued use “of wood or insufficient materials” when laying new gas pipes. The ordinance, however, only applied to repairs exceeding 100 feet. Some wooden gas lines were discovered some years ago within the city, examples of which can be seen at the Hillsdale County Historical Society tool shed, near the peanut tent, during the Fair.